As the fight over Fort St Elmo raged incessantly, with neither Muslim nor Christian yielding in their determination, and the death of many brave men on both sides, Dragut’s knowledge and inspiration began to tilt the advantage in favour of the Turks. The invaders were drawing nearer to achieving their aim of planting the standard of the crescent moon amidst the crumbling walls and rubble of this outpost of the Knights. Dragut’s presence in the enemy camp created a tremendous advantage in terms of his ability to heighten morale. To the dismay of the Ottoman forces, this great strategist was struck down on the day that a cannon shot from Fort St Angelo flew across Grand Harbour and hit the ground close to a Turkish battery where Dragut was laboring with the common soldiers to emplace his artillery. Debris from the impact mortally injured the great corsair. The mortally wounded Dragut was carried senseless behind the Turkish lines and treated in a tent set aside for his use. The wounded warrior lingered for a few days longer, but his contribution to the Ottoman cause had come to an end. For over a month now, Fort St Emo had withstood a siege of epic proportions. However, ,on the 23rd June 1565, a masses charge of Janissaries, Iayalars and Dervishes swept across the intervening ground between the Turkish camp and the star shaped castle, and surged up to the rocks and ruins of the fort’s walls till they met the surviving Catholic soldiers in hand-to-hand combat. This time, the Turkish soldiers were not be denied their prize. They burst into Fort St Elmo and began a massacre of the surviving defenders. None of the knights stationed in Fort St Elmo were to survive that day! 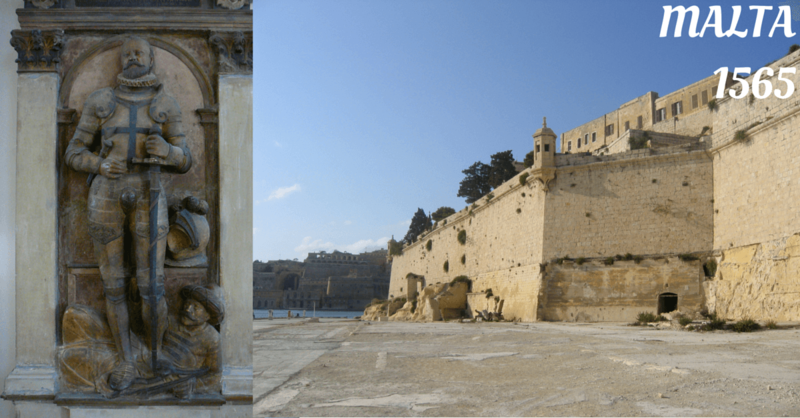 Of the Maltese soldiers a mere handful (only nine all told) were able to avoid death by leaping into the waters of the harbour and swimming across to Fort St. Angelo on the other side of Grand Harbour. The Turkish slaughter, after sweeping into the ruins of what had been Fort St Elmo, encompassed the destruction of all who fell into their hands. Only those soldiers who were seized by Dragut’s corsairs survived, as these Mediterranean pirates were more inclined to make a profit from selling Christian slave than from exacting vengeance on the defenders. Mustapha dispatched a courier to Dragut who lay dying in his tent beyond the scene of carnage. The corsair received the news of the fall of St Elmo with joy and then, he who had chiefly been the instrument of its destruction, himself immediately expired. The Ottoman army had been badly mauled during the siege of St Elmo and thousands of their dead carpeted the ground beneath the castles walls. Nonetheless, the commander-in-chief of the army, Mustapha Pasha, finally held the Christian fort in his hands and so now Admiral Piali could bring the fleet of the Sultan into the safe anchorage of Grand Harbour, where it could lie protected from the inclement weather that swept the Maltese archipelago.